Obtain vital signs and assess other symptoms, followed by a list of all current medications and allergies. Brush the larvae out. DO NOT SMOOSH or SMASH. Put intact larvae aside. Contain all larvae in specimen cup. Add 70% isopropyl alcohol in cup. Seal cup and label with the patient’s name, date, time, name of clinician who collected specimen and type of solution. Send to lab IMMEDIATELY (within 24 hours). 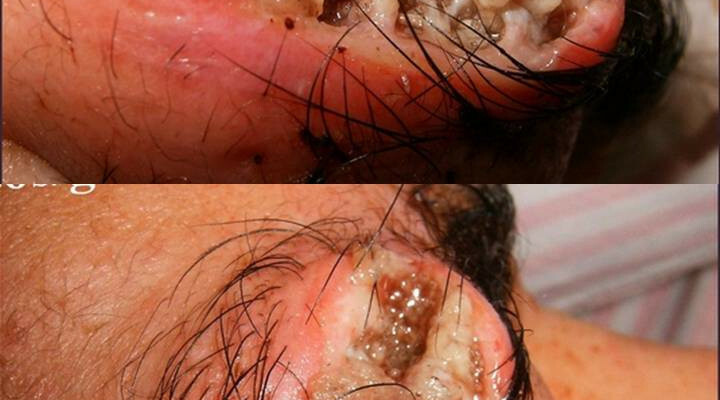 Wipe infected area; use sterile saline or hydrogen peroxide or Dakin’s solution [0.125% sodium hypochlorite]. Soak infected area using hydrogen peroxide and water mixture (1:3) Soak for approx. 20 minutes. Dispose of used dressings in proper receptacle. Patients should be educated to the course of illness. Special care should be taken to emphasize that this is not a matter of personal hygiene, and that this is not a contagious or communicable condition. Following surgical extraction, teaching should include the following: wound care and bandaging techniques, measures to alleviate discomfort, signs and symptoms of infection, any activity restrictions, and date for suture removal. This entry was posted in Nursing Interventions and tagged Myiasis. Bookmark the permalink.